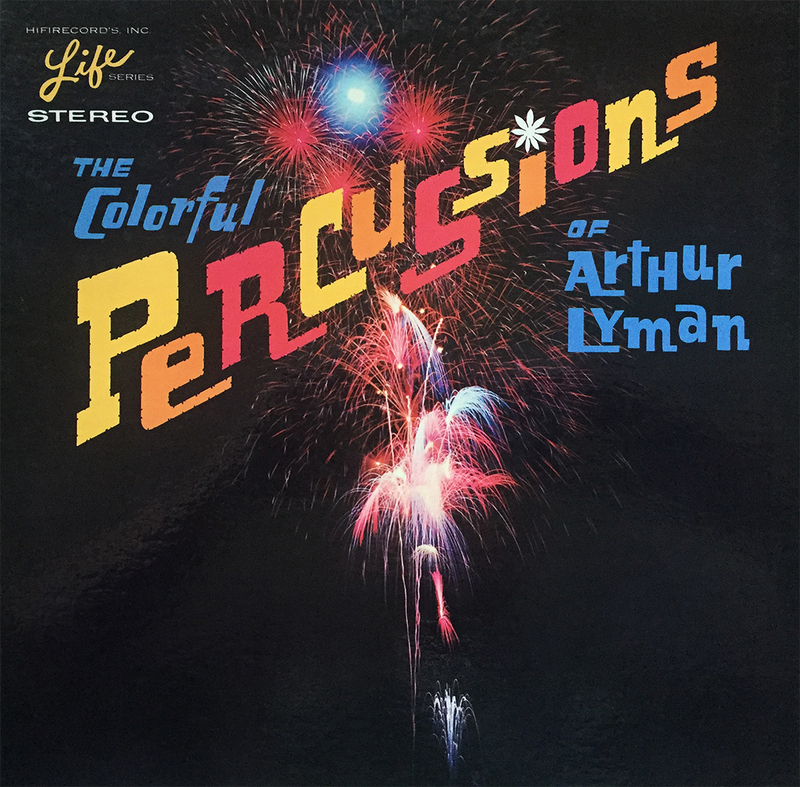 Record inserts are one of my favorite things to explore / discover, especially those from the 50’s and 60’s (check out the Inserts category for more). Presented here is the flip side to a custom insert to Harry Belafonte’s 1962 album, The Midnight Special. Simple. To the point. Effective. Not much else is needed for a record shirt, as far as I’m concerned. Enoch Light was a powerhouse in the late 50s / early 60s. 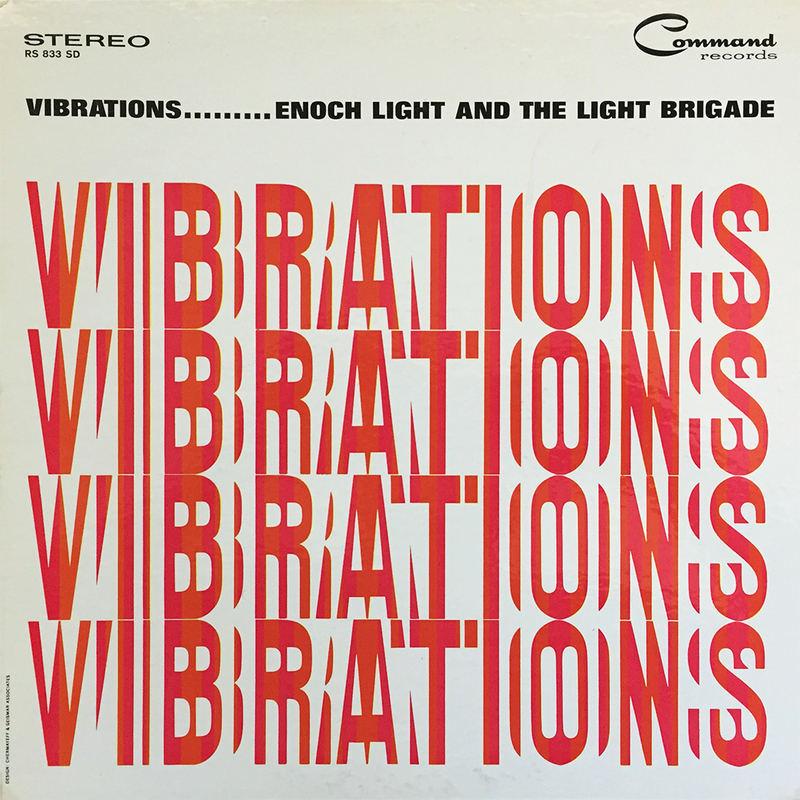 Conducting a series of legendary, well, series (Persuasive Percussion, Provocative Percussion) while manning the Command Records label, and releasing a variety of 20s and 30s volumes, he managed to release random, and essential one-offs like this 1962 record with the Light Brigade titled, Vibrations. With Enogh Light-style twists on these well known classics (I Get A Kick Out of You, As Time Goes By, The Old Black Magic, Dancing on the Ceiling, Temptation), and a frame-worthy, minimalist cover, Vibrations is a steal for $2, and of course, comes highly recommended. 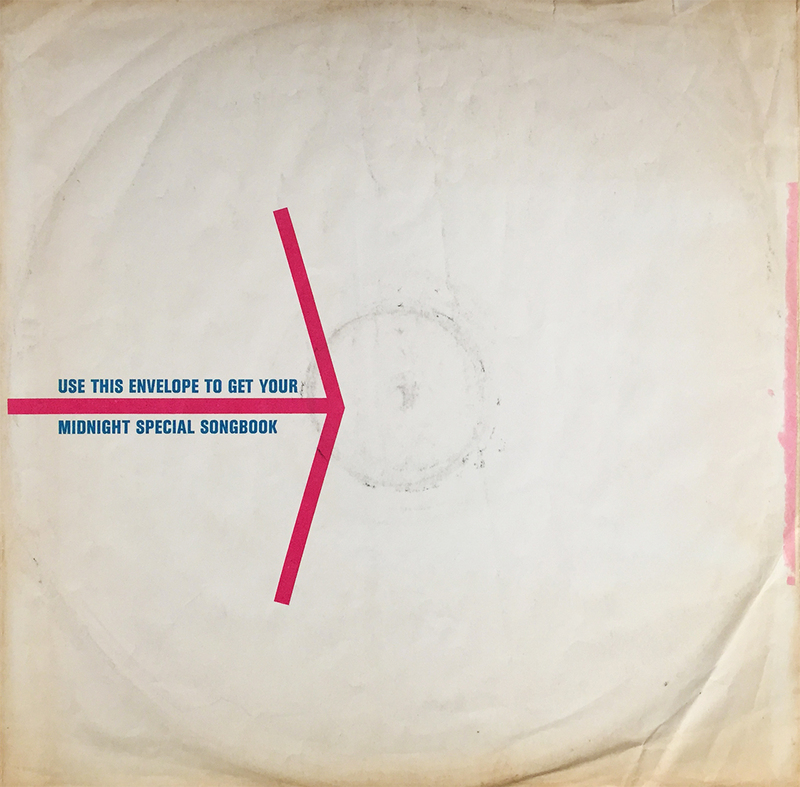 This beautifully designed, mid-century insert (from 1962) accompanied Harry Belafonte’s The Midnight Special album, and could be used (with $2) to redeem The Midnight Special Songbook. 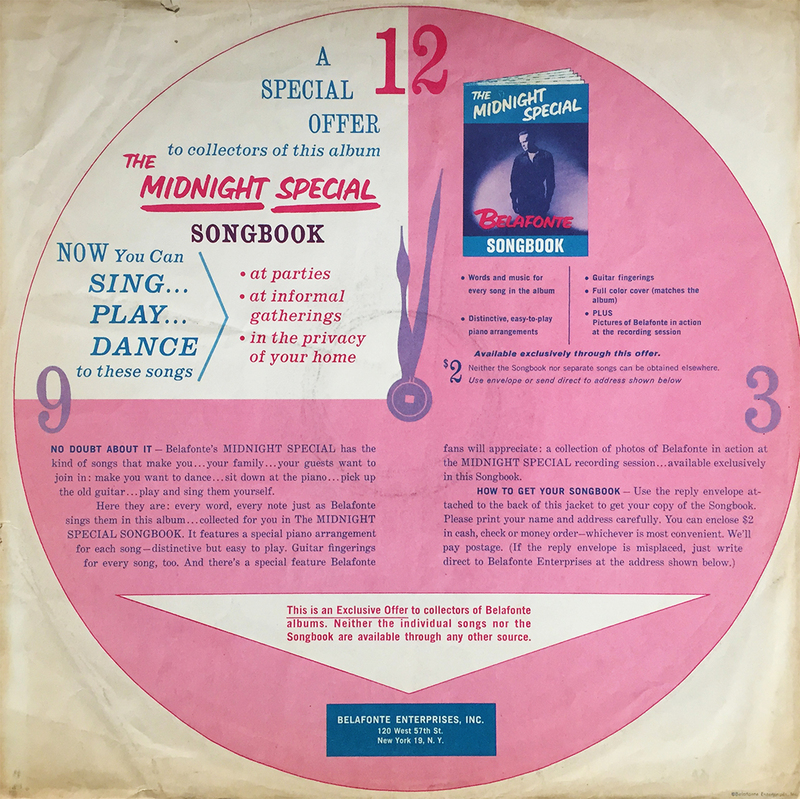 This special offer provided fans and purchasers of this album with information on where to send their $2 (Belafonte Enterprises, Inc.), and boasts about the amazing advantages of owning this great songbook: “Now you can sing… play… dance to these songs at parties, at informal gatherings, in the privacy of your own home.” So what’s stopping you? Put down that Two Buck Chuck (which is now no longer two bucks) and take advantage of this exclusive offer! Can something still hold claim to “new” if it’s 55 years old? 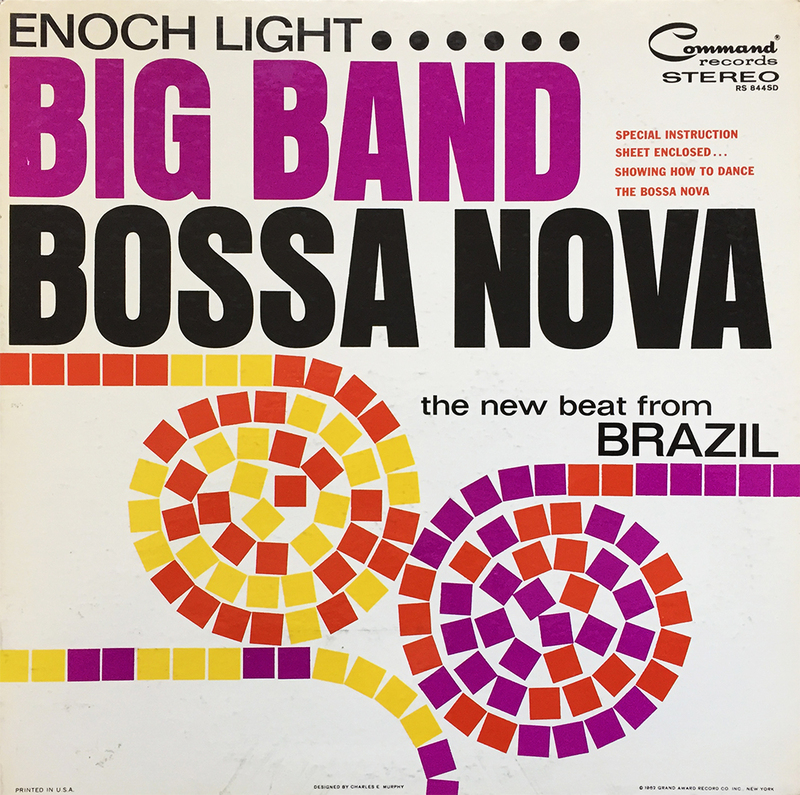 Well, if it involves Enoch Light and Command Records, then that answer is most definitely “yes.” Bossa Nova at its finest, kids, and well worth the $2 price tag. Hunt, find, acquire. When your savings are fantastic, Pat Boone is present. He may be on the radio, hiding behind an old oak tree, or he may be haunting your dreams… again. 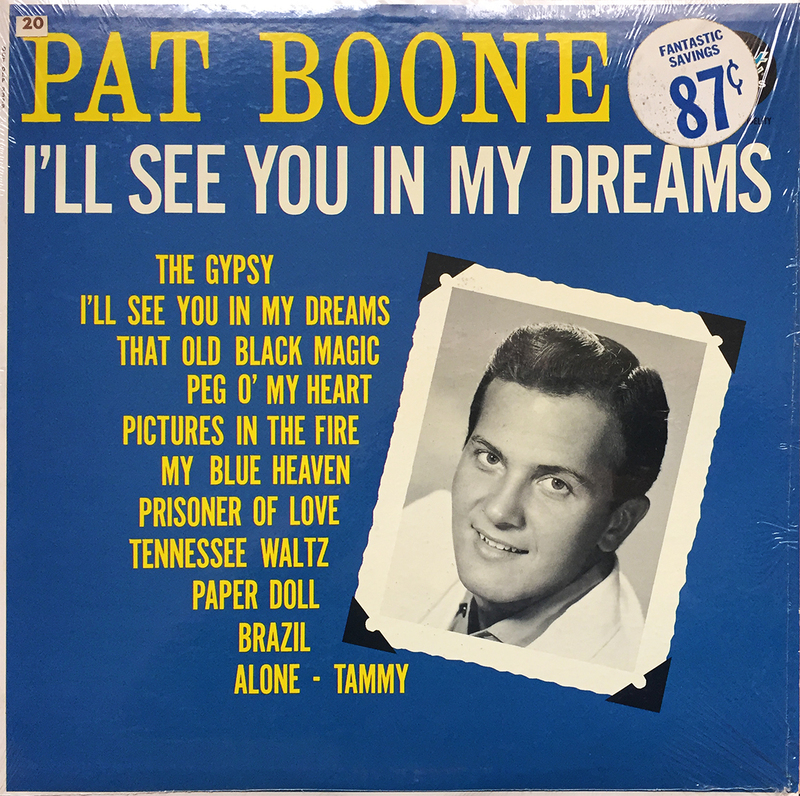 For a cool $0.87, you don’t care about sleepless nights and shivering cold sweats, because with fantastic savings, comes Pat Boone. 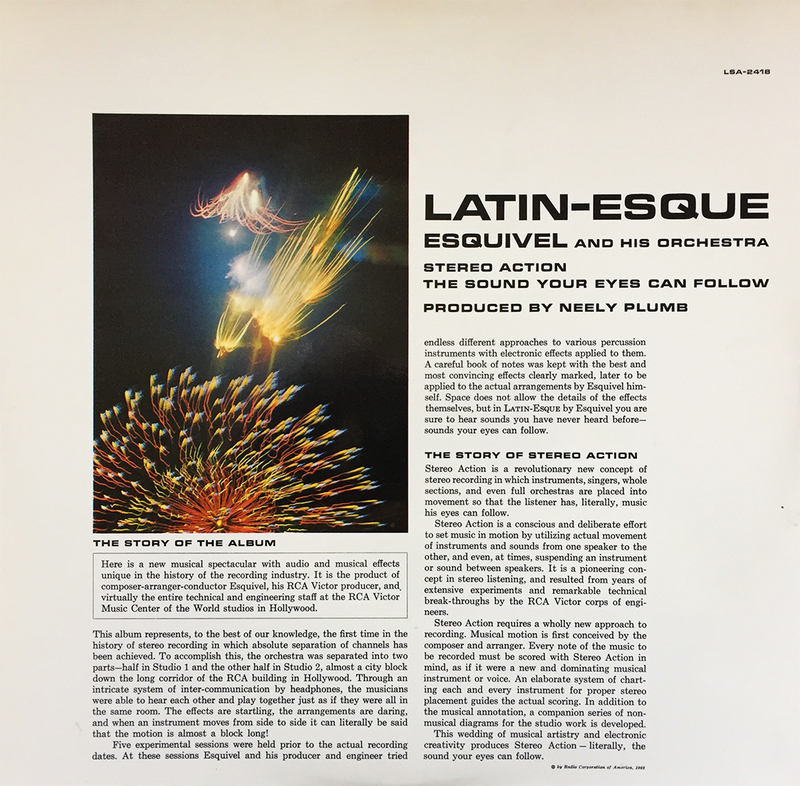 Part insert, part cover (thanks to the die-cut heavy duty outer shell), this glossy sleeve to Esquivel and His Orchestra’s 1962 classic, and Space Age Pop essential, Latin-Esque give an in-depth look into the technical advances in the recording of this album. It’s an interesting read, and remember kids, this is 1962. 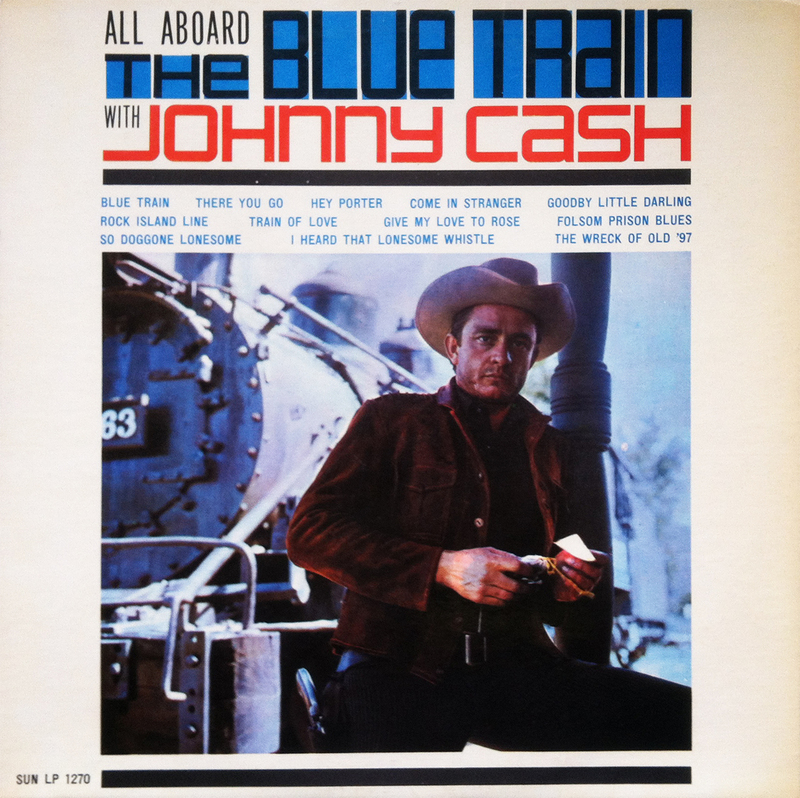 As she goes, “This album represents, to the best of our knowledge, the first time in the history of stereo recording in which absolute separation of channels has been achieved.” Click on the photo to continue reading. 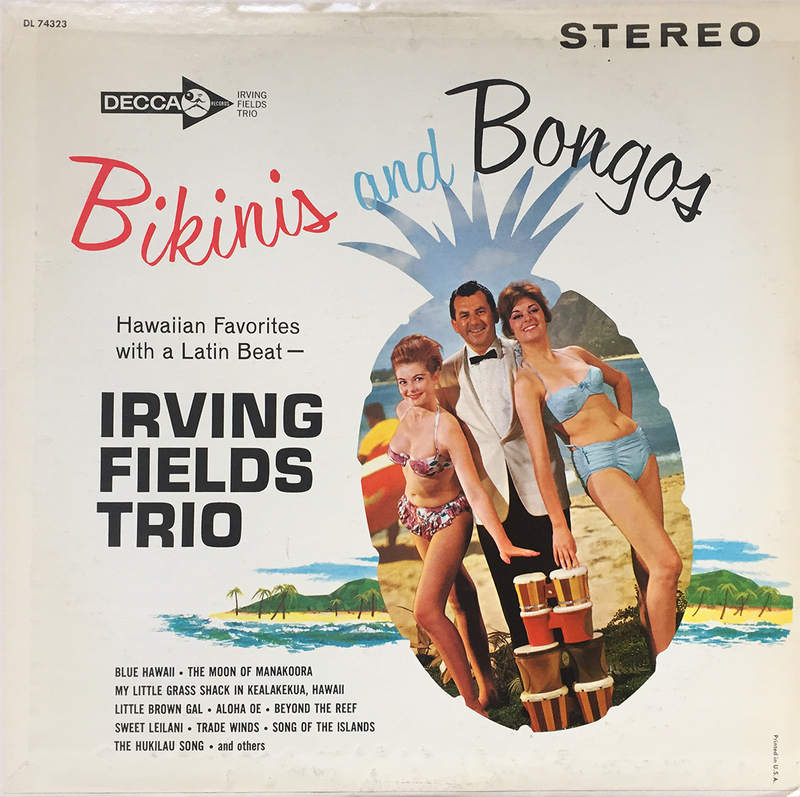 For the saddest (and most abhorrent) day in this nation’s modern day history, let’s drown our sorrows in, and (attempt to) ignore the incoming storm of racist ignorance with Bikinis and Bongos. Because, let’s face it… heavy, heavy drugs won’t be near enough to get us through the next 1461 days. Ladies and gentlemen, it’s time for Pachanga! 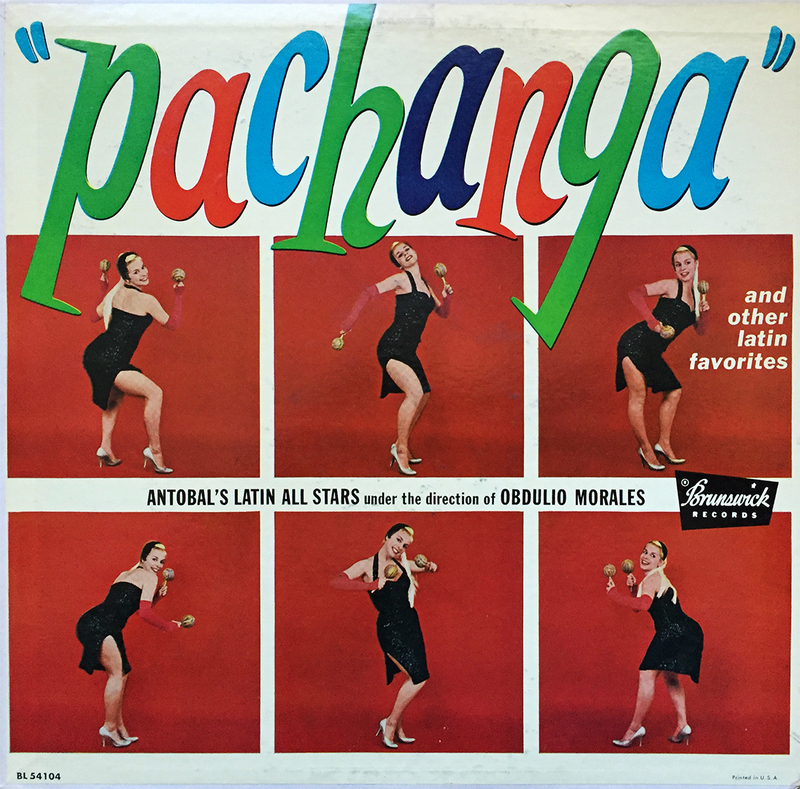 Antobal’s Latin All Stars under the direction of Obdulio Morales manifests afro-Cuban greatness with their 1962 release from Brunswick Records titled, Pachanga… PACHANGA! 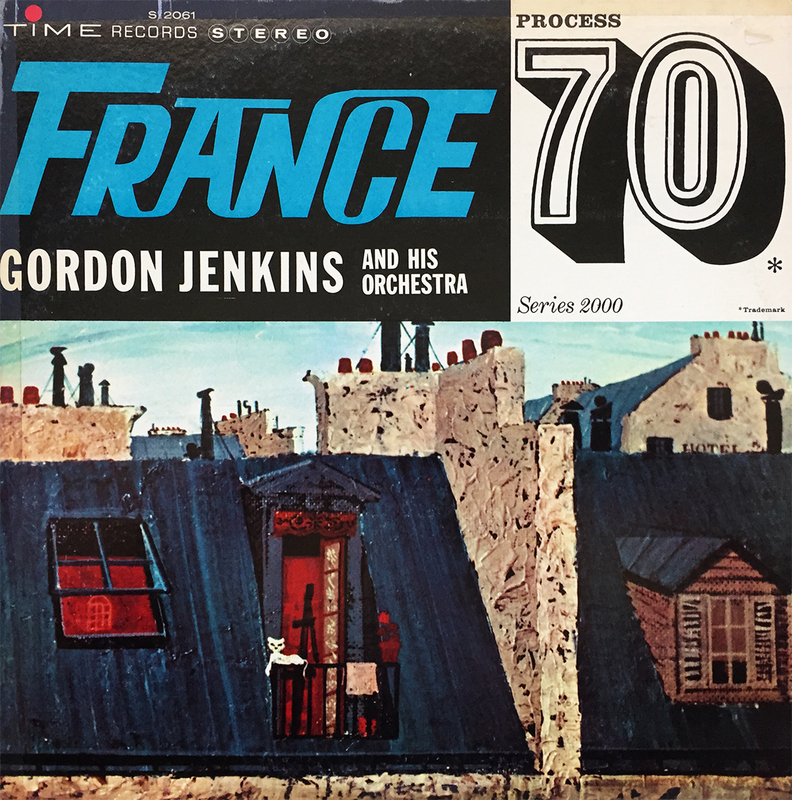 Just when I was thinking how my late March, Thursday evening needed some soulful cha-cha, this lovely, and immensely exciting album came to mind. That is all.